As an educator, sales expert and entrepreneur, Nancy Depcik has learned perseverance, patience and the power of positive thinking. After achieving great success, her life took a sharp turn. 2008 brought about a recession that swallowed her business, her relationship, her home, and worst of all her self-confidence. Fighting her way back to the top, she developed a resilience that helped her recreate herself and achieve Unshakable Success®. The techniques she learned are the same ones she shares with your audience, helping them become stronger leaders, more effective communicators and just plain happier. Nancy will take your audience on a journey of self-discovery, laughter and motivation, leaving them with specific techniques they can start using today to discover their own strength and find success in their careers, relationships and life. As a nationally recognized keynote speaker, Nancy works with corporations and organizations to develop a positive approach to adversity. Satisfied clients include Fortune 500 companies, universities and corporations. Competing in the International Speech Contest in 2016, Nancy finished in the top 100 out of 30,000 competitors. In addition, her TEDx speech focuses on the one word that can lliterally change your life, showing you how to see the opportunity instead of the problem. Her presentations are high energy, unique and memorable. She shares techniques that can't be found anywhere else, because let's face it, if you can Google it you don't need a speaker. Nancy will customize her programs to meet your goals and the audience's expectations. They are available in keynote, seminar or workshop format. You'll be delighted by how easy it is to work with her. 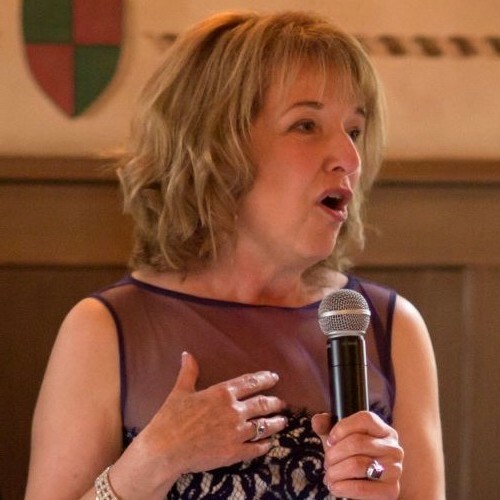 Find out more about Nancy Depcik of Unshakable Success® at http://NancyDepcik.com.